Today we’re going to talk about the controversy that seems to be plaguing the gaming media in the last week. 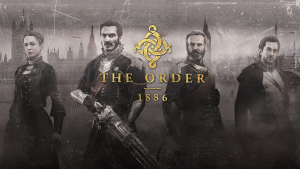 We’re going to talk about The Order 1886, more specifically the alleged length of the title. This is not a defense, nor a criticism, merely a information collective to allow you to make the choice on whether or not it’s worth €60/75 of your hard earned money. In the past 24 hours there have been numerous reports from gaming sites alleging that it will only take you 5 hours to complete The Order, this is based on a YouTube playthrough. The Order is a game with no multiplayer modes, nor a New Game + option, so in essence you would be paying for a game with little to no replayability. Now, this may not be an issue for you personally, as the gameplay and story may be incredibly captivating and will necessitate an additional playthrough from you. Either that or you will be compelled to acquire a platinum trophy from the game, and you will need to play it again to accomplish this. The main issue here is that if you are methodical about how you play it, The Order is a game that will only require one playthrough to complete everything the game has to offer. Allegedly the cut scenes make up 2.5 to 3 hours in total (they’re also unskippable). If you are bothered by this info or worried by it, then I would recommend you do not buy the game at full price. You will be disappointed, but the blame will solely be on yourself. This information is out there now, and it enables you to decide now if the game is indeed worth that much money to you. On the flip side of this, the Youtuber who played through the game in that time frame was doing so with the intent of completing the game as fast as possible. Ignoring any collectibles and never exploring, so if this is how you play your games then you might need to reconsider whether or not you really want this game. Most (so far) reports put the game at 8 -11 hours if you take your time with it and explore the world Ready At Dawn has created for this game. Length of play, however, may depend on your choice of difficulty. This puts it in line with other titles such as Bioshock Infinite and the first Uncharted game, two titles with limited replayabilty and short campaigns. If a heavily story based shooter is right up your alley then this may be the game for you, and in all likelihood you won’t regret your purchase. Ultimately the choice is down to you on whether or not this title is worth your money. This post is here to help you decide one way or another if The Order 1886 is for you. Think about what you desire from a game with a price tag that high, and above all else, make sure that you are happy with everything that is offered by this game. Everyone should make the choice that’s best for them.